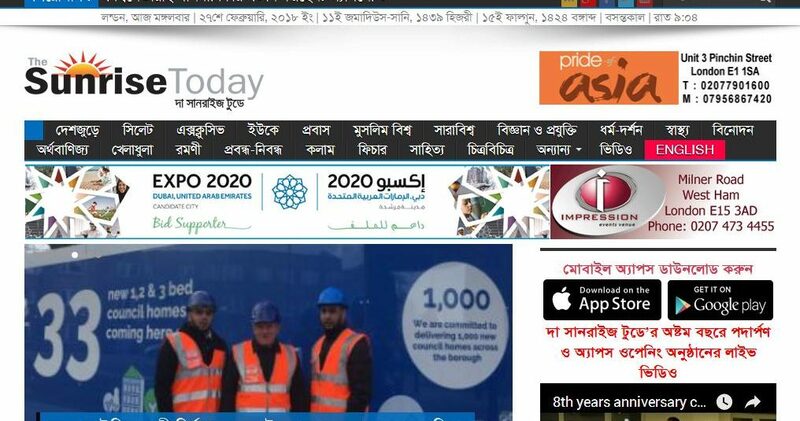 The Sunrise Today (www.thesunrisetoday.com) one of the largest online newspaper in Bengali community from all over the world. 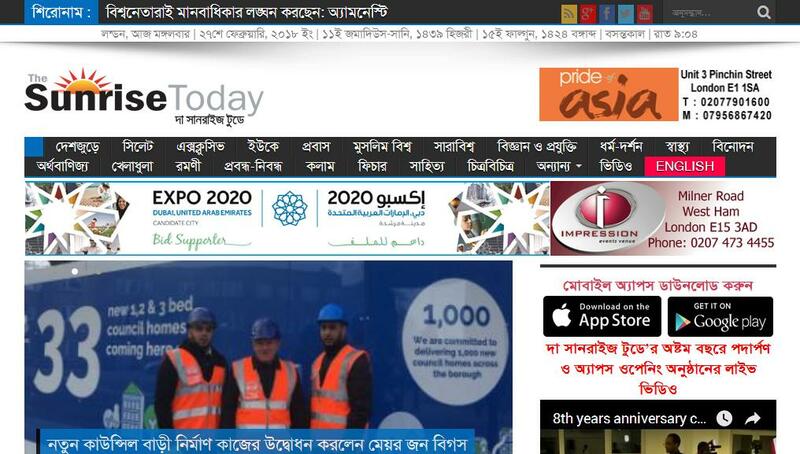 It is the widest daily online Newspaper published from London since 2011. The Sunrise Today truly reflects and captures the current news and views around the world 24/7. We cater for the multicultural community and focuses on informative and analytical updates on current affairs, latest trends, health, education, culture, life style, sports, articles & features etc.